TeamViewer is a household name, at least if your household does a lot of PC-based remote access. 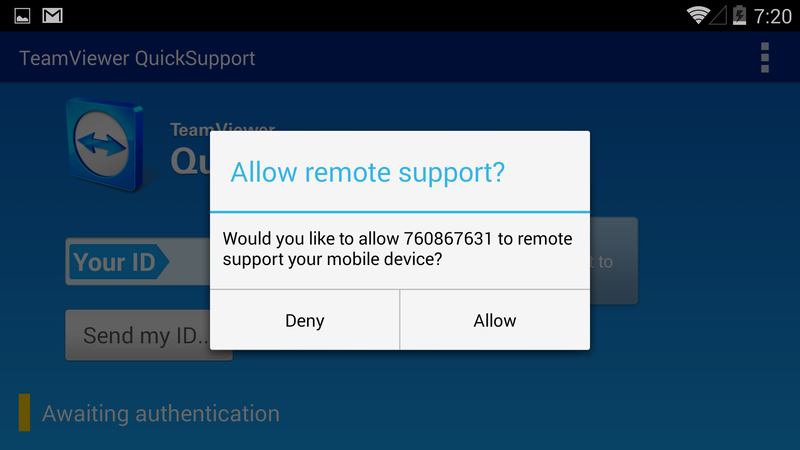 The TeamViewer QuickSupport app is mighty handy if you have to give enterprise-level support to remote Android users, but it's got one big drawback. For full remote control features you need to have a device from a specific manufacturer (or a rooted device from anyone, which is a no-no for both novice users and businesses). 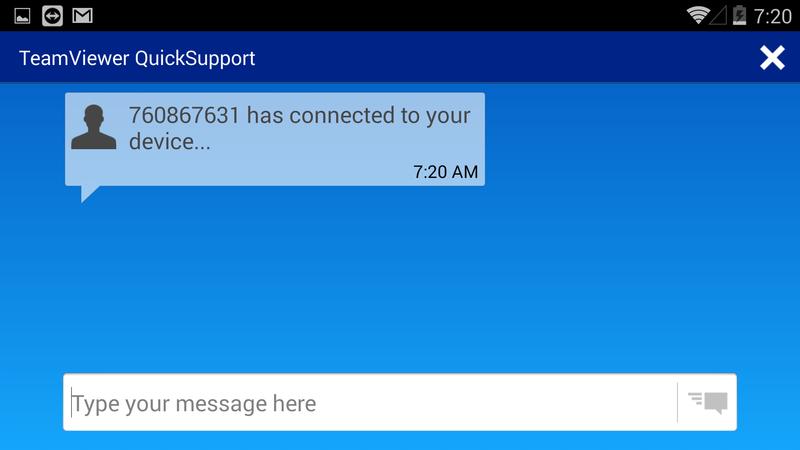 Today the QuickSupport app has been updated to work on Lenovo, Asus, and Caterpillar devices without root permissions. This is a little confusing, so bear with me: QuickSupport can technically be installed on any Android phone or tablet running 2.3 or higher. Support staff then installs the standard TeamViewer program on a desktop and initiates the remote connection with a nine-digit code. On any device, an authorized remote user can see CPU and RAM usage, storage, installed apps, basic WiFi settings, a basic chat window, and a few other things, not unlike AirDroid. Any changes (like a remote app uninstall) must be verified by the Android user. If the device is rooted, it can be completely remotely controlled by the support staff, just like conventional remote access on a PC. Previously only Samsung devices could be remotely controlled without root, but now TeamViewer has expanded the capability. The Android user still has to grant permission for the remote control session. Lenovo phones and tablets, Caterpillar phones (yes, they make Android phones), and Asus phones and tablets can now be remotely controlled without root, though the latter is "for business customers only." Niche manufacturers Prestigio, Unitech and ODYS are also supported. Remote support sessions use AES and RSA encryption. 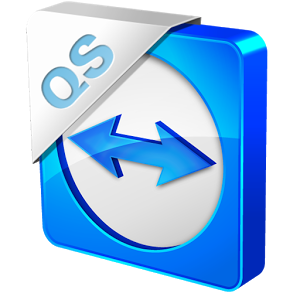 TeamViewer QuickSupport is a free download in the Play Store, and the desktop TeamViewer program is free for personal use. Tampa, Florida, January 21, 2014 – TeamViewer, one of the world’s most popular providers of remote control and online meeting software, extends its mobile device support offering and announced today the availability of its updated app TeamViewer QuickSupport. The update provides the ability to remotely control additional devices including Lenovo, Asus (for business customers only), Caterpillar / CAT®, Prestigio, Unitech and ODYS. 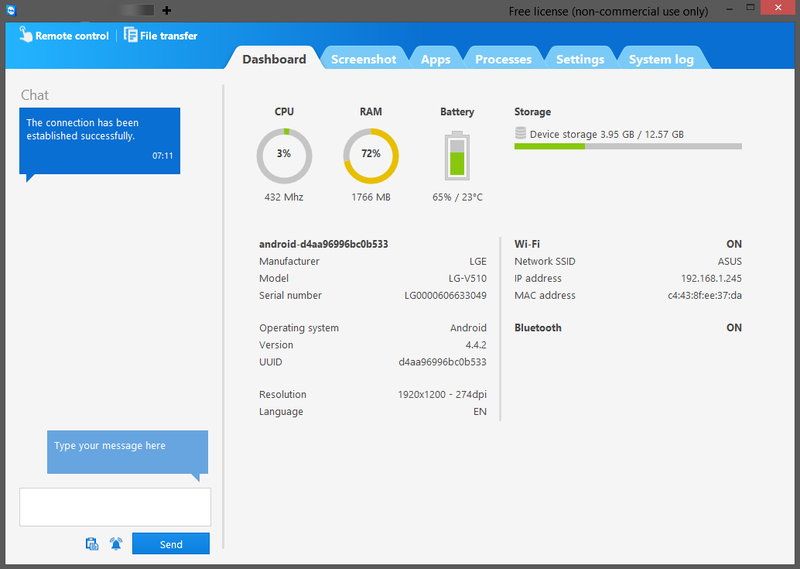 The popular app TeamViewer QuickSupport allows the remote support of smartphones and tablets via TeamViewer software from any Windows or Mac computer. It is designed for IT support teams to quickly and easily diagnose and fix problems with these mobile devices while employees are offsite. Full remote control has been already available for mobile devices from Samsung, Sony and others. Remote Control: Technicians can remotely control the mobile device from their workstation just as if it was in their hands. This feature is available for the following devices: Samsung, Sony, Alcatel One Touch / TCL, Lenovo, Asus (for business customers only), Caterpillar / CAT® B15, Prestigio, Archos, Unitech, ODYS and others. File transfer: Easy file transfer from or to the mobile device. Chat: Technicians can chat with mobile users to quickly diagnose issues without the need for a phone call or text message. Real-time screenshots: Mobile users can take real-time screenshots of the problem on their device which will automatically be sent to the technician resulting in easy to share information. Full access to device settings: Technicians can access and configure remote devices. This includes connectivity settings such as setting up Wi-Fi. Technicians can also see all running processes in a clear and easy-to-use dashboard and stop them if needed. System logs: Ability to view system information and logs to diagnose issues. Secure connection: Every remote session is encrypted with the highest level of security, based on RSA private-/public key exchange and AES (256 Bit) session encoding. 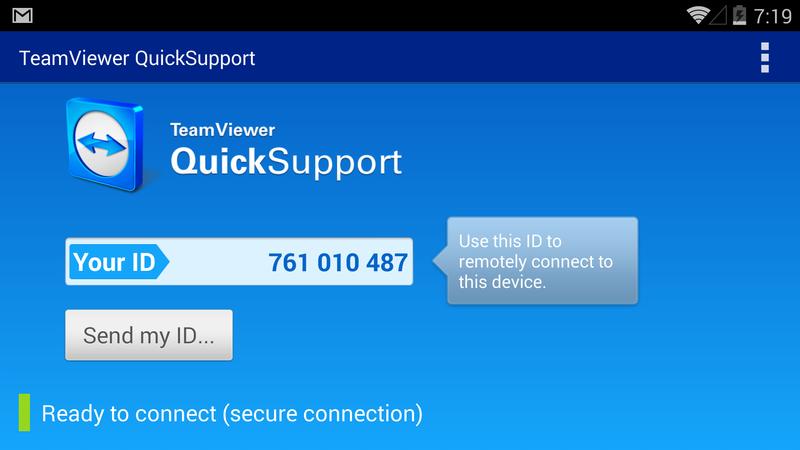 The remote support of mobile devices via the new QuickSupport app is available for users of TeamViewer 9. Support can be provided from any Windows or Mac computer to Android-based mobile devices running Android 2.3.3 or higher. 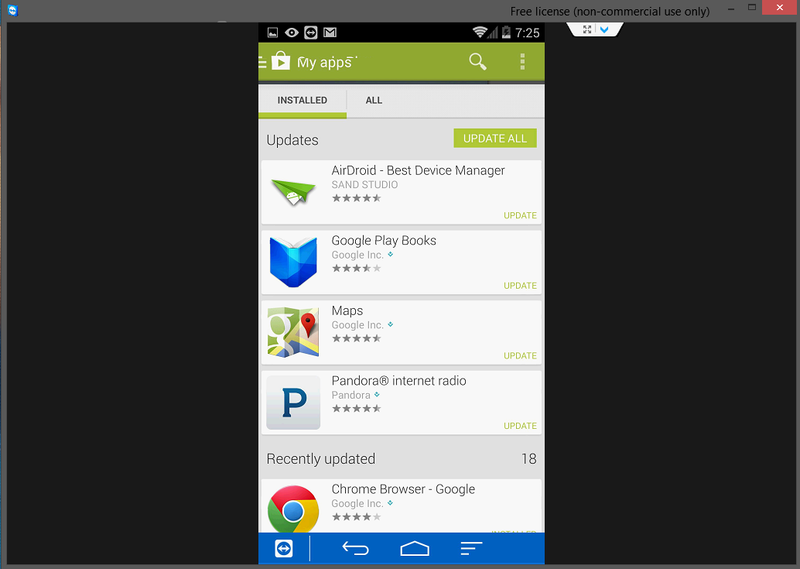 An additional add-on may be required depending on the device manufacturer. For personal users, TeamViewer software is always free of charge. The remote support of Asus mobile devices is available for professional users with a TeamViewer 9 license only.